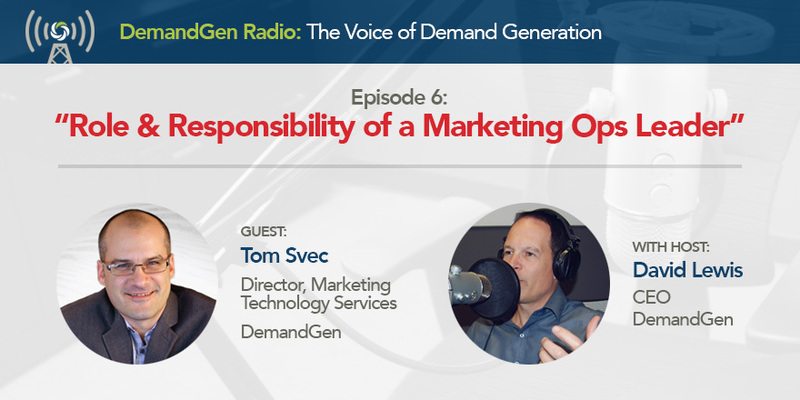 During the latest episode of DemandGen Radio, David Lewis had the pleasure of interviewing DemandGen’s own Tom Svec, Director of Marketing Technology Services. The two met at Toledo in 2008 and together have weathered a lot of change in the world of marketing. Tom became a client of DemandGen after David founded it, and when Oracle acquired Toledo, Tom joined DemandGen—and the rest is history. Since coming to DemandGen, Tom worked diligently with clients to help them evolve from doing basic batch-and-blast marketing to becoming real marketing heroes. During the interview, he shared his thoughts and experiences of how marketing has changed and what’s yet to come. David: Let’s start off back in 2007 when you and I were working together, and Toledo was deploying its marketing automation system. What did the marketing department look like back then from an operations standpoint? Tom: It was me—that was it. Toledo had just deployed Eloqua, and they needed someone to steer the ship. Back in those days, it was like the Wild West. SeriousDecisions was around back then, and there were thoughts and ideas and concepts, but we were still experimenting with marketing automation—how to take the ideas we had about a relatively new technology, harness it and make something of it. It was very experimental and there was a lot of trial and error. I say humbly that we had pretty good success in implementing and changing the business reality at Toledo. David: I remember being at a SeriousDecisions conference with you back in 2008, and we were sitting around the fireplace talking about how Toledo was doing more exciting things than what you were here in the presentations at the conference. You said you wanted to be on stage the following year and win the ROI award. Sure enough, you did just that. But let’s talk about what we did because of Toledo—we pioneered a lead management framework. What are some differences in terms of what we’ve learned about lead management since then? Let’s start off with resources, the team, and the vision. Tom: These days, companies have a CMO or SVP of Marketing. They also usually have a Head of Marketing Operations—a technically oriented operational manager. Depending on the size of an organization, that person is responsible for the stack, and for implementation and management of other resources. In larger organizations, we’re also seeing another position below Head of Marketing Operations tending to the daily administration functions. David: And the Head of Marketing Operations role has changed dramatically? Tom: Yes, now they’re also responsible for the budget, planning, calendaring and execution. They’re liaising with finance, and they’re interacting with not just sales ops but sales heads to make sure that marketing and sales are aligned from a process strategy perspective. The scope of the position is much broader. Back in 2008, it was very tactical: get the technology up and running and make it work. 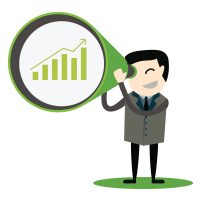 So we’ve seen a dramatic change in the necessity and scope of the marketing ops role. Today they need to be cross-functional and collaborative with many different departments and have a strategic view of where the infrastructure needs to be to support the marketing strategy and requirements. David: Why is this role in high demand? Tom: It’s in high demand because those skills are scarce. The right person has worked in marketing for multiple generations and has seen the evolution of marketing ops. Not many of those people exist. David: Let’s talk about MarTech. We’re seeing a dramatic acceleration in marketing technology. What are the technologies DemandGen clients are using on a more regular basis today? Tom: We’ve rather conservative in our adoption and our coordination and partnership with other marketing technology vendors. We take a structured, thoughtful approach, evaluating solutions internally to test what we recommend. 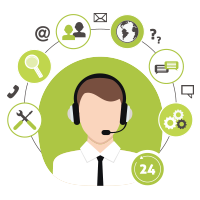 And, we try to be the concierge of marketing technology, guiding our clients’ decision. David: Our clients often start out asking for a marketing technology maturity assessment. Why is that a great place to start? Tom: When a new Director of Marketing Operations comes into a company, they have to take stock of what they have in place and what’s needed. They can do it themselves, but a company like DemandGen does this day in and day out. We can provide a stack assessment, road mapping, and planning. We look at the environment form a 30,000-foot perspective. David: What common patterns do you see? Tom: In less mature organizations, there may be a lack of structure or oversight into the environment. For these companies, we help provide best practices. In an organization further along on the maturity scale, we can help untangle the technical baggage that’s accumulated over the years. They come to us to help them make sense of what’s been going on and what’s currently in place, so they can take their systems to the next level. Another common theme is where one business unit is using marketing automation successfully, so other units want to follow suit. That leads to consolidation, especially in global organizations and large enterprises. In all types of companies, we’re seeing more migrations, whether it’s from a platform to another instance of the same platform, or a brand-new platform, for example, migrating from Eloqua to Marketo or vice versa. From a consulting perspective, it’s important to treat the process as a rebirth of sorts. You’re starting fresh with a clean slate, and we try to emphasize that to the client. David: Is the adoption of marketing automation gaining momentum? Tom: That universe of companies adopting marketing automation is massive and will continue to grow. And as newbies come onboard, we’ll continue to see a wide spectrum of levels of adoption, ranging in complexity. DemandGen’s PodCast Series features interviews with top industry experts, thought leaders, authors, marketing technology firms and senior marketing leaders from around the world about their methods and technologies for high-performance marketing. A replay of the full podcast with Tom Svec at www.DemandGenRadio.com.